There isn't even time travel involved with this fantastic news. 12 Monkeys has been renewed for a third season, as first reported by EW. Hailing from executive producers Terry Matalas and Travis Fickett, 12 Monkeys Season 2 is in the middle of one of the most creatively viable and incredibly emotional arcs its ever had. With only two episodes remaining this season, it's wonderful of Syfy to give fans the freedom to really sit back and enjoy what lies ahead. “Syfy and UCP have been incredible creative partners, and I’m thrilled that we are going to tell the next — even more twisty and emotional — chapter of this time travel adventure,” Matalas told EW. 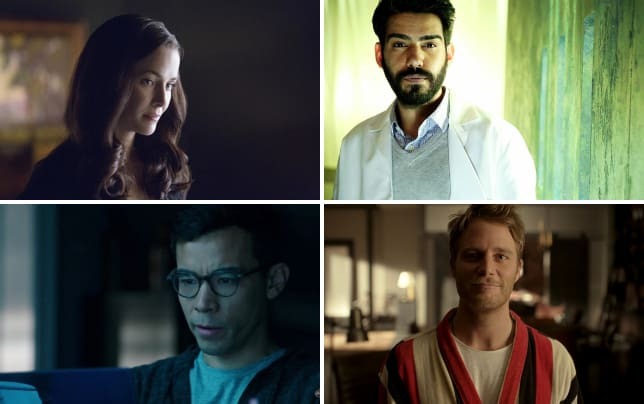 This season, a lot of the action has taken place in the future, a future in which protaganists and would-be love interests James Cole (Aaron Standford) and Cassandra Railly (Amanda Schull) have been distant and at odds. Coming from a place where they worked together and as great partners, it's been somewhat unbearable for fans to witness. Speaking of The Witness, the search for the unknown entity has been on like never before. Cassie has formed a partnership with her one-time nemesis, Ramse (Kirk Acevedo) as the two have felt they are on the same page in tracking down and stopping The Witness, who is intent on destroying time itself. 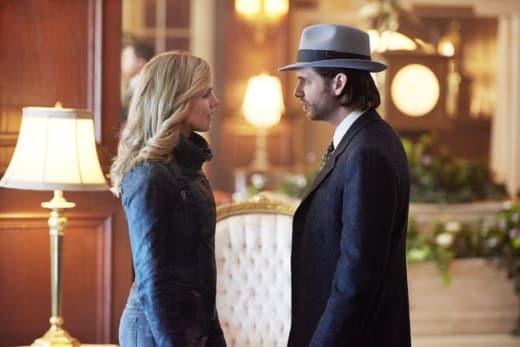 Each week, the series has taken viewers to new heights with action, emotion and timey wimey goodness, culminating in the loss of two beloved characters on 12 Monkeys Season 2 Episode 11. Emily Hampshire digs her teeth into the crazy, beloved Jennifer Goines with an intensity that belongs in film. They're joined by former bad guy turned empathetic, Deacon (Todd Stashwick) and the Doctor behind it all, Jones (Barbara Sukowa). “This season of 12 Monkeys has proven to be a breakthrough,” says Jeff Wachtel, chief content officer of NBCUniversal Cable Entertainment and president of Universal Cable Productions. “In two short seasons, 12 Monkeys has become a cult favorite series,” adds Chris McCumber, president, entertainment networks. “Terry and the cast and crew have brought to life a rich world not confined by boundaries of time, with multi-dimensional characters whose motivations for saving the world are deeply personal and intensely relatable." We couldn't agree more. Now, how excited are you about this news? Have you been holding back on watching for fear of cancelation? How much viewing will you be doing over the holiday weekend? You can watch 12 Monkeys online right here to get all caught up!